Product #46760 | SKU 24161 | 0.0 (no ratings yet) Thanks for your rating! 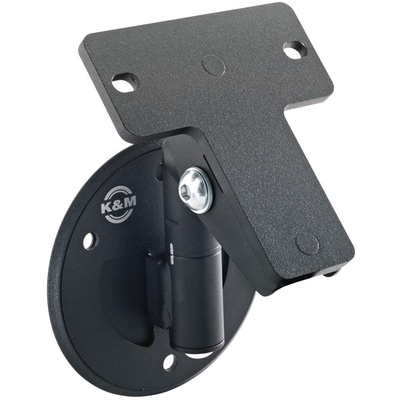 The 24161 Universal Speaker Wall Mount Bracket in black from K&M is a compact and flexible wall mount bracket for loud speakers up to 33 lb. The bracket can be adjusted vertically or horizontally and it keeps the speaker close to the wall. This unit mounts easily and securely to speakers that have either vertical or horizontal drill holes.